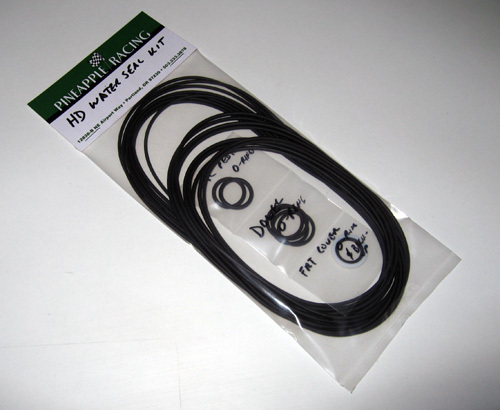 NEW LOWER PRICE: Due to a new supplier, we can offer our proven, reusable HD Water Seal Kit for the FC, S4/S5/RE 1986+ at a lower! Our water seals are reusable in most cases. Some of our customers have reused the same seal set over 10X. If you have a problem with one, contact us. In most cases we provide free replacements, just cover postage. It includes the inner/outer water seals, o rings for: dowel pin, oil pedestal, front cover, oil metering pump, rear stationary gear and the ft. cover o ring back up washer and tension bolt washers.